* I received the following polishes for my honest review by Starlight and Sparkles. 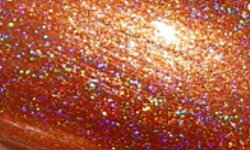 I have some more polishes by Starlight and Sparkles to share with you today. These polishes are holographic and shimmer polishes. 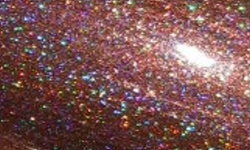 Starlight and Sparkles has a large selection of different holographic polishes, shimmers, and topcoats to choose from. There is certainly something for everyone. 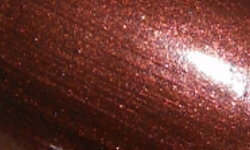 Cocoa Crystal is a warm deep brown linear holo. 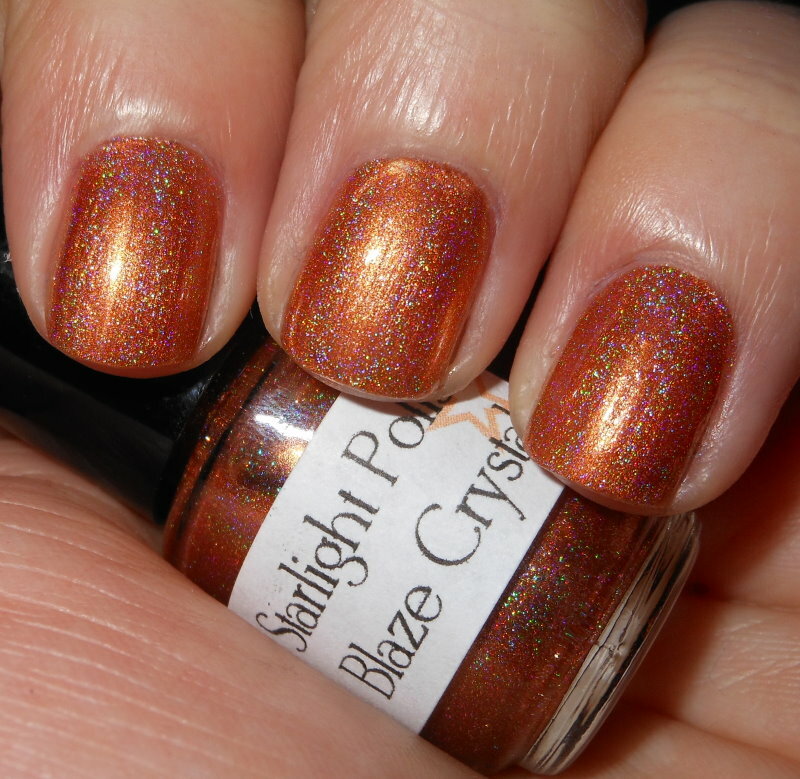 Blaze Crystal is a light orange linear holo. 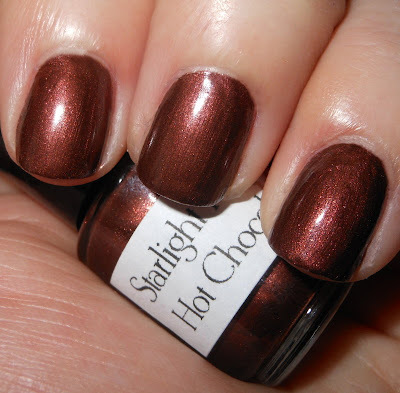 Hot Chocolate is a warm deep brown shimmer. 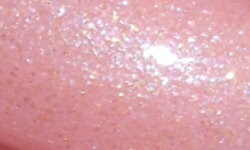 Eponymous Princess is a neutral pink with a multi-color shimmer. Color: I found the shades of the holographic colors to be very unique. These are not typical shades I reach for, but I know brown and orange holos are not the easiest to find. 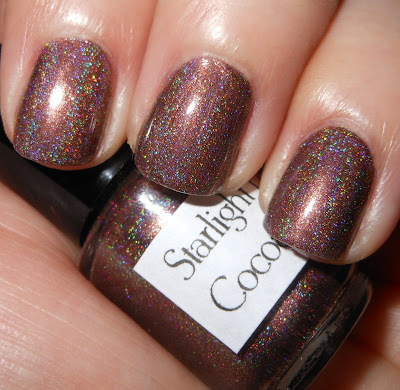 Cocoa Crystal and Blaze Crystal are definite new to me holo colors!The shimmers are nice colors too. Hot Chocolate is a rich and warm color and I love how Eponymous Princess is simple and clean color with a hint of bling. Formula: I used about 2-3 coats for each of these swatches. The formula on the holos were great and easy to use. The formula on the shimmer polishes was a little on the thick side, but still manageable and not difficult to apply. Price: Eponymous Princess and Hot Chocolate are $3.00 for a 5ml bottle. A 15ml bottle of Eponymous Princess is $8.00 and a 15ml bottle of Hot Chocolate is $7.00. Cocoa Crystal and Blaze Crystal 5ml bottles are $4.75. 15ml bottles are $11.00. You can purchase these along with many other great selections on Starlight and Sparkles Etsy site. Overall: I liked the uniqueness and formulation of the holographic polishes. I also really liked Eponymous Princess with it being soft yet sparkly at the same time. * I received these polishes for my honest review by Starlight and Sparkles. These are gorgeous! I love Cocoa Crystal! Ohhh Cocoa Crystal and Blaze Crystal are amaaaazzzing!!! These are pretty - I really like the first one!